Ganraj Associates is a parent company established in May 2013 with a vision to inspire success and positive transformation by offering a wide range of quality services to its clientele. With its focus on excellence and fully transparent dealings, the firm holds its business interests in the areas of Real Estate, Advertising, Film Production and Event Management. "Dreamers chart their own course and destiny. Dreamers are always striving to be the person they were meant to be and are not afraid to be different ... 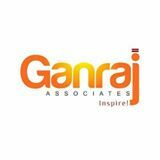 I dreamed I believed and I followed it "
With never-before events, a national award winning film, successful real estate deals and innovative advertising solutions, Ganraj Associates is well on its way to become one of the most versatile and proactive businesses the city has ever seen. We hope to further this by the blessings and support of our business associates and our loved ones. May the light shine on one and all.